Now see all your Meraki devices in a single view! Most IT teams are familiar with the extensive work that goes into deploying a fast wireless network. Wireless networks are designed using dedicated design software solutions. Once a design is complete, all of the locations of access points (APs) within a facility are finalized and provided to installers via a detailed CAD drawing. Traditionally, if IT teams needed to know where each AP was located post-installation, they would have to refer to either the design document or the AutoCAD file. 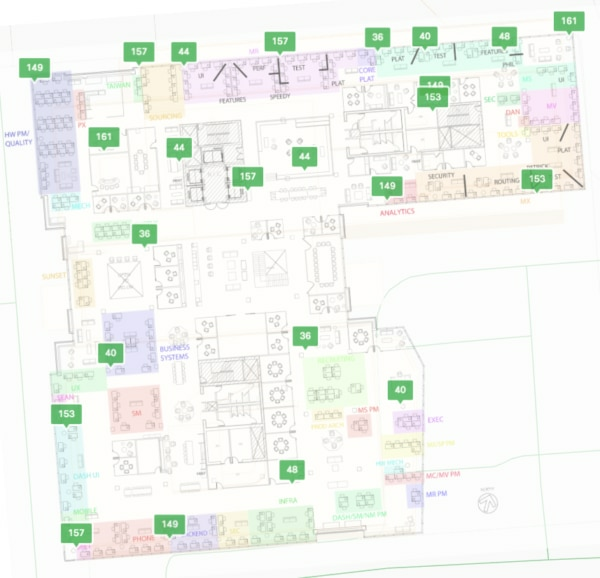 Cisco Meraki changed all this with Maps & floor plans, which allowed IT admins map Meraki APs on a floor map. Network-wide floor plans: You can now access Maps & floor plans from the Network-wide menu. 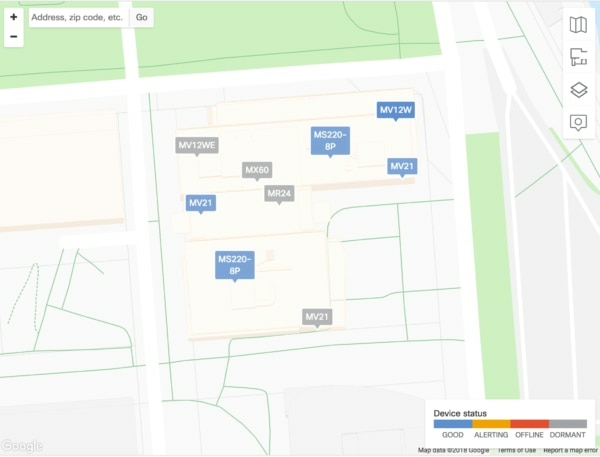 This lets you visualize Meraki MR, MS, MX, and MV devices throughout your deployment and easily navigate between all floors in your network location. Client Location: Once APs are mapped on floor plans, the locations of client devices are automatically provided on the client page using the Location Analytics feature built into Meraki APs. Customers can use this information to easily identify the location of a device without needing any specific information from the user. One common example is to locate devices within a facility. 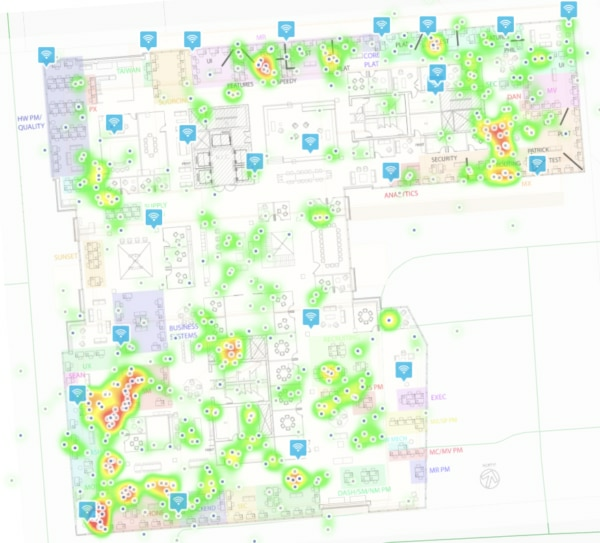 Location Heatmap: This feature has been used to analyze foot traffic trends within a facility. This proves useful in retail environments to gauge where customers are spending most of their time. For non-retail applications, knowing areas with high foot traffic can help someone identify any potential capacity issues for wireless performance. Radio Settings: To evaluate performance issues on a wireless network, network admins might first take a look at the wireless spectrum and ensure there is no interference from a neighboring AP. To check co-channel interference, they might then check the channel distribution for the APs. Using the maps component available in Radio Settings, customers can easily check channel distribution and identify any potential issues with co-channel interference. Now that you have the ability to map everything in one place, customers no longer have to go back and forth between the Meraki dashboard and design/CAD documents to locate APs. Additionally, customers can go to the page for a particular device directly from the map, thereby avoiding the need to hunt for the device within dashboard. Use the topology feature to identify an issue with a particular device within a network and then use floor plans to identify the location of the device within a facility. Easily jump to any device within the network without having to start from the AP when troubleshooting issues. Quickly locate devices within a facility in case of any intrusion and make changes as needed. Use location-based APIs with greater accuracy. To try these new features out for yourself, log in to the Meraki dashboard and navigate to Network-wide > Monitor > Maps & floor plans or refer to our documentation here. Not a customer yet? Try Meraki out for yourself!